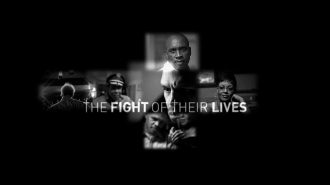 The Fight Of Their Lives HD Blu-Ray. On February 25 1995, one of the most ferocious boxing matches in British history took place between British born Nigel “The Dark Destroyer” Benn and American Gerald “G-Man” McClellan. What transpired that night encapsulated the true essence of boxing at its most raw—blood, sweat and an eternity of tears. Still, there was worse to come. The aftermath of that faithful night will forever live in the memories of those who witnessed boxing (17 million television viewers and over 10,000 in attendance) at its most brutal and most unforgiving.